VIENNA: Red alert on Monday at the airport Vienna-Schwechat. A 60-year-old US tourist suddenly pulled out of a plastic bag a World War II explosive grenade and asked the customs officers, whether they can fly home with the found on hiking Großglockner “souvenir”. Parts of the airport were immediately closed. A few days before she left for home, the 60-year-old American woman discovered the explosive grenade in a forest, put it in her backpack and transported it to the hotel immediately. Even more stupid: The tourist from beyond the pond cleaned and washed the explosive find, in the washstand of her room. 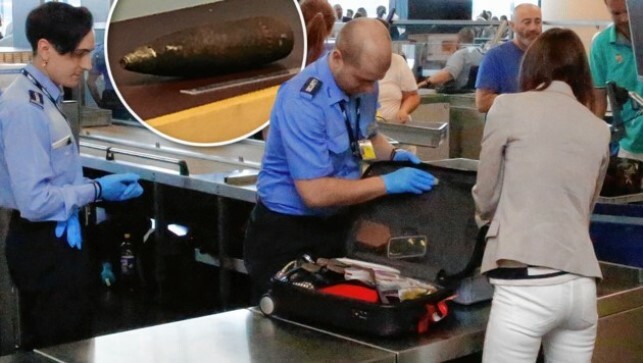 “So I do not get my suitcase dirty,” she revealed to the stunned customs officers, whom she blasted the potentially explosive piece on Monday morning in all serenity and ignorance, before returning to the United States.